A very hot topic in the world is the problem of the narcotics, that ruins millions of people’s lives every year. Its a big problem that has economical, psychological and social implications that is very costly and can not be fixed easily by politicians. It is easy to lay the blame on the producers of the opiums and the distributers but little we know they are not consumers, only cheap labour for the massive consumer populations. There is a saying “The shoemakers’ wife goes the worst shod” and a Farsi equivalent of that is “کوزه گر از کوزه شکسته آب می خورد” roughly translated as the one who makes the pitcher drinks from the broken one, and this is our story. The solution to this is not to start destroying their economical means, because they don’t make that much and its their means of living. 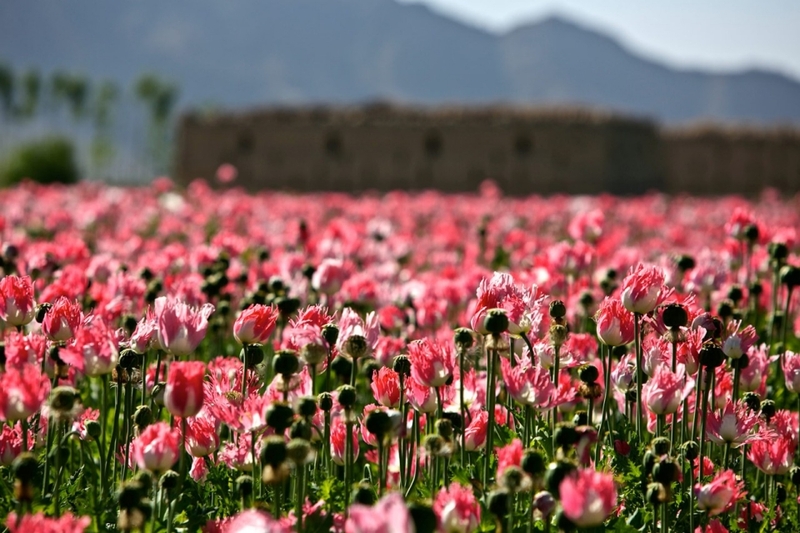 A country who wants to get rid of the narcotic problem needs to find a replacement, or there will be a huge economical gap for families who produce opium.